Following on from the broadband item in Cllr Finlay’s January Newsletter (which you can read here as a PDF) here’s my experience so far of Vodafone’s fixed broadband as a straight replacement for BT. My wife and I live in Chilworth Ring, just under a kilometre from BT’s Cabinet 7 at the top of Bassett Heath Avenue. Before BT brought fibre to Cabinet 7 (FTTC) we were getting a download speed of around 3.5Mbps. After FTTC it was of course no different. To take advantage of FTTC you must sign up to BT Infinity, which entitles you to a physical connection change in the cabinet, to equipment that takes advantage of the fibre. On signing up to Infinity the download speed went up to nearly 20Mbps (since reduced, by increasing contention, to about 18Mbps). The connection from home to the cabinet is still by copper cable, so distance is still a factor. People on Bassett Heath Avenue will get an even better service, while people at the far end of Heatherlands (and beyone) will get a slower one. Over the years, I’ve found BT’s customer service to be extremely poor and an episode late last year left me more keen than ever to get away from BT altogether. That’s a story for another day. As my wife and I both have Vodafone mobiles on the same account I investigated the possibility of signing up to Vodafone’s fixed broadband service. 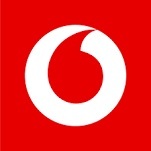 As of 21st January, we are now paying Vodafone for our home landline. We have kept the same number and the transition was seamless. The transition to Vodafone Broadband involved nothing more than plugging in a new router, and putting its password into all the devices that we use to go online. We’re still connected to Cabinet 7, and if anything goes wrong it will be Vodafone, rather than BT, telling OpenReach to fix it. The Vodafone sales people (in West Quay) said we would get a minimum of 25Mbps download speeds but I don’t see how that could be, despite it being written into the contract. We actually get exactly the same speed, about 18Mbps, that we used to get with BT. If I can be bothered, I may try to get Vodafone to honour their offer of a discount if they fall below that stated minimum. For now though, I’m happy enough with the change. Why? Because BT was charging around £98 per month and Vodafone are charging £28 for an almost identical service. It’s early days, and so it remains to be seen how this will pan out. For now though, I’m happy to be free of BT, and to be showing a saving of around £70 per month. If you have any questions about this post then please either use the comment facility so others may join in or send me an e-mail.